Antelope is a hunted animal so its future is always uncertain. Its major concern is with the Now, and with mortality and survival. As a power animal Antelope stresses the importance of making the best of what you have and of the time at your disposal, and the need for sustenance and nourishment, not so much in a physical sense but mentally, emotionally and spiritually. Antelope can give you the power to strengthen your mind and heart, and to acquire the courage necessary to help you make the right decisions. It emphasizes how important it is to know exactly what you want, and to then make up your mind to do something positive in order to bring it about. When time was just beginning and the “Tribe of Man” was small, Antelope saw that the two-leggeds were naked, hungry, and in danger of extinction. The Ancestors would soon vanish from Mother Earth if action were not taken. Antelope took action and came into the camp, calling all the two-leggeds together for Council. “Great Mystery sent me to teach you a lesson. The lesson is do. You have no need to be fearful if you know what to do and then you do it,” Antelope said. “And what shall we do?” asked the People. Antelope knew that humankind would survive the Ice Age if the People learned to eat meat. Before the movement of the great ice mountains, fruits and vegetable had been plentiful, and the two-leggeds had had no need to eat of the bodies of their fellow creatures. The clans of the second world, the world of Ice, ate Antelope. Taking the instinct and wisdom of the four-leggeds into their bodies, the People learned, through each creature’s essence, how to survive. They were taught never to waste, or to take more than they needed. When they were in need, the two-leggeds knew how to take action. Humans learned Antelope’s lesson well. Because of Antelope, humans took proper action and survived to this present day. Antelope taught humans to honor the gifts sent from Great Mystery, and to avoid indiscriminate destruction of life. Antelope signifies knowledgeable action; action that has its basis in clarity, focus, and commitment. Antelope is a symbol for the antenna of your hair, which attaches you to Great Mystery by its long cords of light. As we look at Antelope, we become aware of our mortality and the short time we have on this planet. With this is mind, we must act accordingly. Antelope medicine is the knowledge of life’s circle. Knowing of death, Antelope can truly live. Action is the key and essence of living. Antelope powers have been courted and shamanized since the dawn of time. Antelope clans have been many, and the power of Antelope people is great. 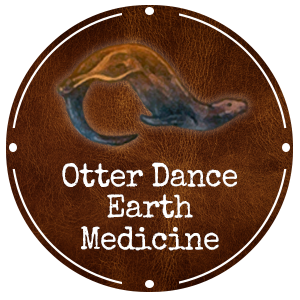 Antelope medicine gives you strength of mind and heart, and the ability to take quick and decisive action to bring our goals to fruition. If you feel stymied, momentarily lacking clarity or focus, call on Antelope medicine. If you are balled up and twisted in knots, Antelope powers will speak to you of proper action and soon set you free. Many ingenious solutions to such problems are whispered by Antelope. Listen, and even more importantly, act. Surround yourself with the illumination and secret knowledge of Antelope. Combine this with action and you will overcome any obstacle or hindrance in your path. If Antelope is your Centering Tree and strong personal medicine, thank Great Spirit. Say what should be said. Your judgment is sound and your actions will be successful. Always listen to what Antelope has to say to you. For Antelope indicates a message of higher purpose. Antelope arms you with the Bow of Authority, and forces you to act on behalf of self, family, clan, nation, and finally Mother Earth. Antelope says, “Do it now. Do not wait any longer.” Antelope knows the way, and so do you. Take courage and leap; your sense of timing is perfect. The time is now. The power is you.